Purchasing a memorial, headstone or grave markerstone for your loved one is a major investment of time and money and should be undertaken with great thought and care. We recommend careful and relaxed planning before you purchase. Whether you are making immediate or pre-need arrangements for a funeral or purchasing cemetery property, you should know that you and your family are not obligated to purchase a monument from a funeral home or a cemetery. In fact, a good argument can be made to delay the purchase of a memorial, the one visual and lasting tribute, until other matters are complete. Our local monument builders are a great reliable source of information regarding the various regulations of the cemeteries in your area. Since cemeteries have regulations regarding the size and type of memorial in certain areas of the cemetery, it is wise to consult with a monument builder before you purchase your cemetery property. 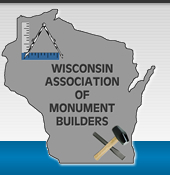 Click here to find a monument builder. WAMB Members can invite your to their showroom to see the many different styles of monuments or markers. Sometimes visiting is not an option, but many of our members have websites that you can visit and then call them to discuss your situation. 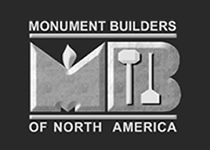 Monument builders will help you design a memorial and then complete it and install the monument. Other products such as bronze remembrance lamps, bronze vases, floral attachments, religious items and even reproduction photos are available to incorporate into your tribute.